Всем любителям Алисы из страны чудес, привет! Как безумная фанатка этой сказки я иногда рисую свои иллюстрации на тему Алисы. 10 лет назад коллекция моих иллюстраций превратилась в маленький артбук, который был принят коллекцианерами Алисы на ура. Сегодня я делаю перевыпуск артбука. Но непривычным для меня способом, а при помощи всесильного краудфандинга. В планах напечатать 1000 шт, формата чуть больше А4 на хорошей бумаге. Всего будет около 22 иллюстраций по стране чудес и зазеркалью вместе. На всякий случай расскажу, как работает краудфандинг. Люди, которым интересен проект помогают набрать нужную сумму на его запуск. Но это не значит что они просто дают деньги, они делают предзаказ. То есть каждому, кто помогает проекту достанется печатная или pdf версия артбука, а может и нескольких. Бивень мамонта, эбен, высота 8см. 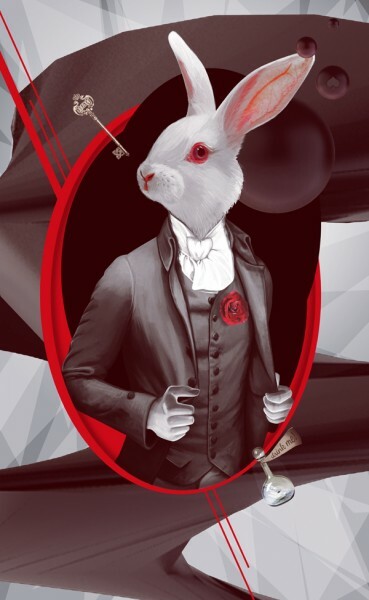 This summer, I've decided to put together a sort of fandom awards cerimony for the various adaptations of Alice in Wonderland. However, I need your help, if you're willing! 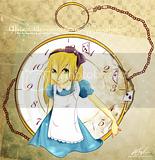 First of all, although this isn't nessisary at all, I would love to have an Alice-themed LJ layout for the site. If not, a banner encompasing various adaptations would be wonderful as well. So if anyone out there is more graphic-savvy than I and is willing to help with this, I would be oh-so gratefuly! I tried to vary my sources and go with more well-known adaptations, but are there any other ones that people feel should be included? I'll probably be asking people's opinions on the Award's site (once it's created) about nominations as this moves forward. And finally, moderators, if a post like this isn't allowed, please tell me and I'll take it down right away. It is time for artists to claim a fic in the aiw_big_bang. We are accepting artists who are willing to create at least one screen sized graphic image or video (coming in at no less than 2:30 minutes) inspired by the fanfiction. We have fiction for the following fandoms: Burton, Syfy, Disney, and Carroll. Head on over to check out the summaries and claim a fic. 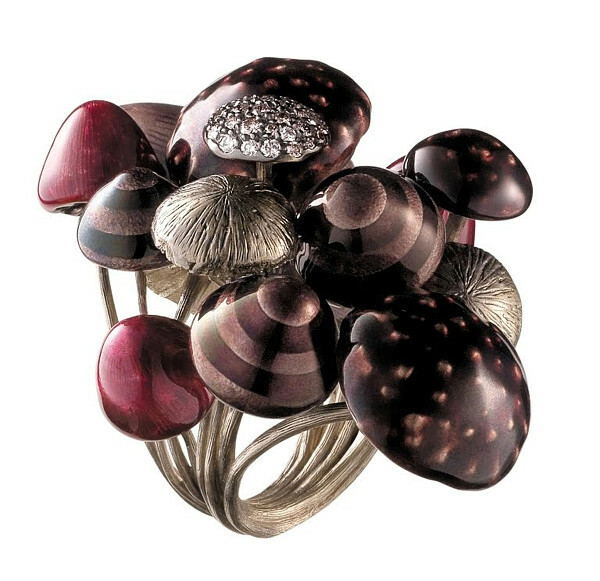 The Brazilian brand H.Stern in partnership with Disney has released an extraordinary luxury collection of unusual ring inspired by “Alice in Wonderland” of Tim Burton. Я даже не сразу понял, что здесь изображено. А вы? 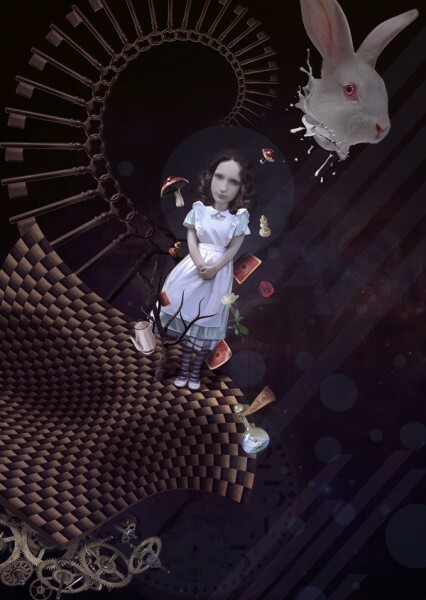 Inspired by contrariwise.org (itself a Lewis Carroll reference! 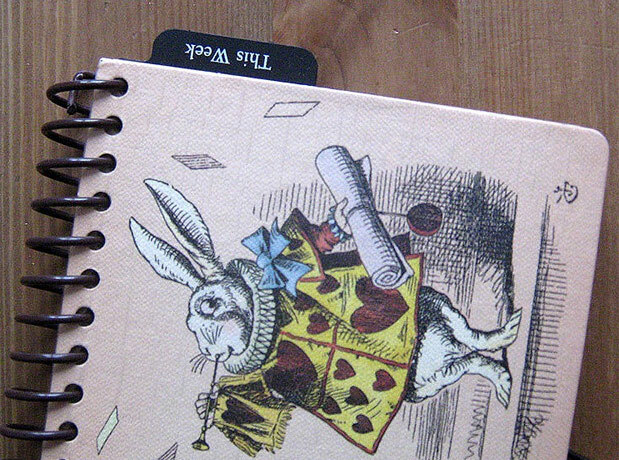 ), here are a few pictures of Alice-in-Wonderland-themed tattoos! One of the things I made at college this year. Click for a full view at my Deviantart! I started getting into chess lately, and went back to my copy of Through the Looking Glass to see how the chess game played. 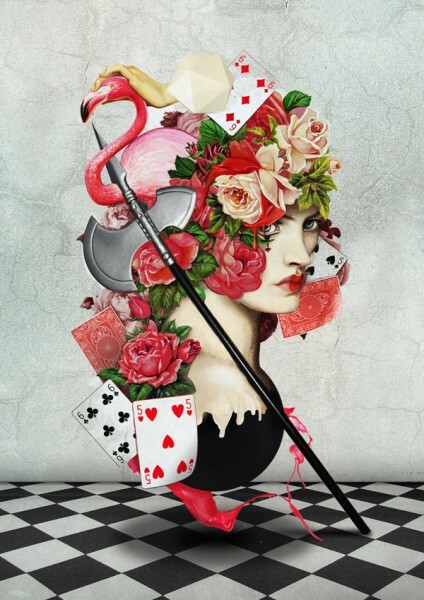 Alice of course starts as a pawn and becomes Queen Alice on the other side of the board. It turns out to not be a very good game, the Red King does not move out of check, which is illegal to do! The characters though of course act erratically in the book, so it is a good game in terms of that characterization. The Queens fly across fields, relating to the powerful queen pieces in chess, while the kings are pretty anxious and immobile. The knights falling off their horses mimics the L-shape movement of knight pieces. 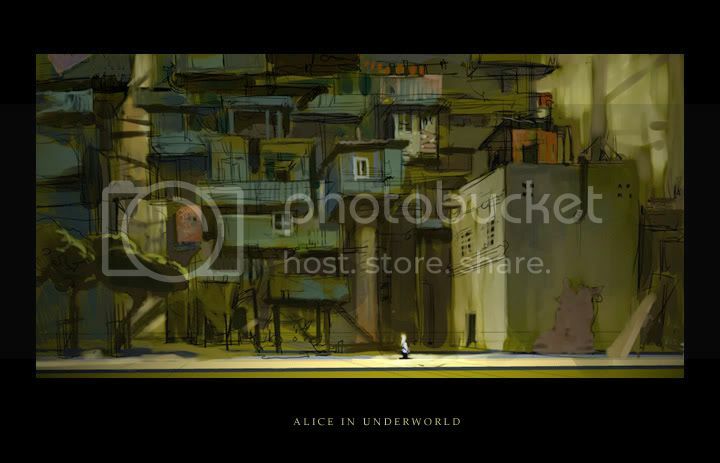 When Alice is on the same row as another character, she is talking with them. It is good to be reminded how clever the original books are! It's from this site which has good information about the game in relation to the book. Cool Su Blackwell sculpture made from book. Here is her site. 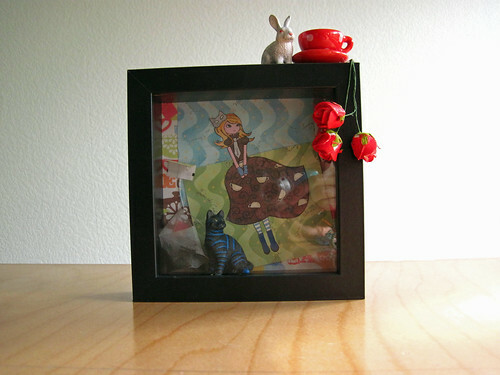 More Alice in Wonderland stuff here. Hey guys, I posted this on my LJ and I thought you guys would be interested. 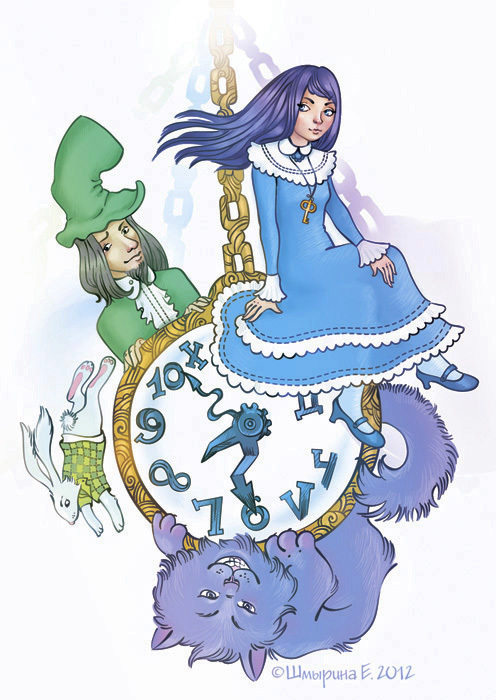 It's sort of a review of different Alice-themed card decks I own. 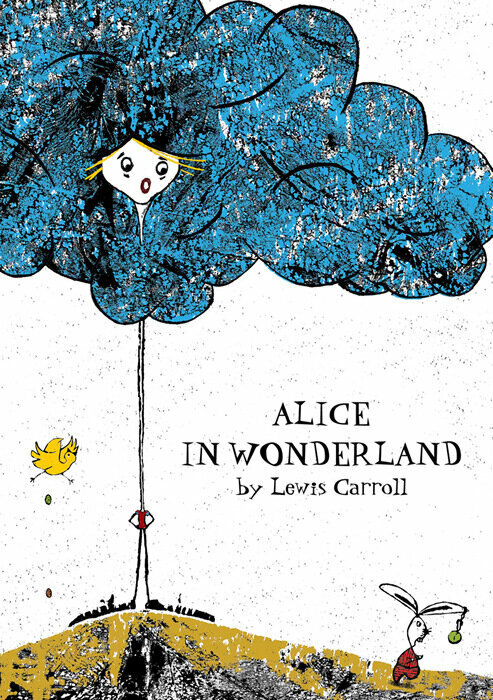 All of the illustrations are based on the original Tenniel ones. The three packs are: a Tarot deck, a card game and a regular pack of playing cards. If you want to see a particular picture of a card I'd be happy to oblige! Это очень редкое издание "Алисы в стране Чудес", включающее в себя так же роман "Сильви и Бруно"! 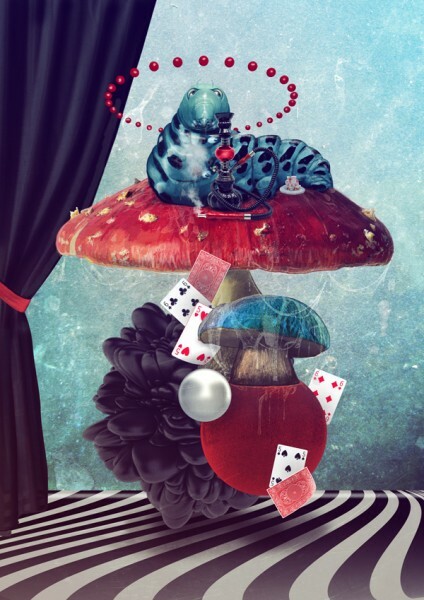 Оригинальное название : "Alice In Wonderland"